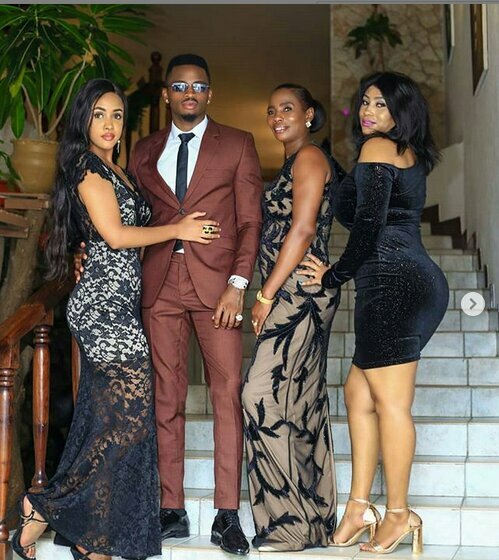 Recently, Diamond Platnumz’s fiancée Tanasha Donna met the Tanzanian star’s mother Sandra Sanura. The viral video of their meet up set tongues wagging. ‘Somebody met my family for the first time leo…she was scared as f…….. ,’ Diamond posted on his instagram together with the video. The mega star also posted a video of the family enjoying a meal together. In what he branded ‘precious moments’. The singer’s mother in a past interview told Tanzanian press that she is ready to accept Tanasha with no reservations whatsoever. It turns out that Tanasha is the one who cooked the meal – chicken biriani. Of late, Tanasha has gotten trolled with people comparing her to Diamond’s ex, Zari Hassan.